Terra Sola uses partners with state-of-the-art technology providers and technical advisory advisors services for all PV energy projects. By partnering with the best international engineering and PV energy powerhouses, we ensure our quality control systems are in line with the strictest of international standards and specifications. We make sure that our projects benefit from global expertise and local know-how. 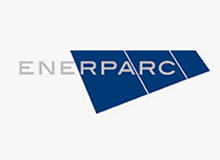 Switzerland-headquartered Terra Nex Group is a regulated asset management company with a mandate to invest in private equity and venture capital activities in the Middle East specifically in clean technology. Terra Nex has managed and been involved in over US$ D2 billion worth of projects and investments around the globe. Currently with presence in eight countries, for the past 10 years Terra Nex has developed socially responsible infrastructure projects in the fields of alternative energy, green building and related industries. Terra Nex generates substantial value for all stakeholders by catering to the ultra-high net worth individuals’ private wealth management needs in the Middle East and Europe. As the Lead Promoters and Managers for Terra Sola, Terra Nex leverages its financial and project development expertise and its network of long-term connections to senior members of the Middle Eastern royal family and local decision makers within the GCC governments in order to successfully implement projects. is a developer and turnkey EPC contractor of solar power plants throughout the world. It was ranked Europe’s leading solar energy company and second worldwide. Juwi develops, builds and operates not only large-scale solar projects but also operates in other renewable energy sectors such as wind and biomass. Juwi’s years of experience in planning PV projects of different sizes and its wide range of competencies across all service sectors, add significant value to the Consortium’s credentials and increases the success factor of the Project. With approximately 1,800 employees in Juwi’s solar group, the company has been involved in the development, design, construction and operation of more than 1,500 PV projects, with a current total generation capacity of 1500MWp. Founded in Germany in 1996, Solon has since become one of the largest module manufacturers in the world. In 2007, Solon diversified its activities into the whole solar manufacturing value chain by investing in silicon, cell and module production, as well as R&D and PV system design. In 2012, Solon was taken over by Microsol Group and its module production facilities were moved from expensive German and Italian sites to the United Arab Emirates (UAE), where the lines and processes have been TÜV certified and production is currently running under German quality assurance programs (“engineered, designed in Germany, produced by German quality assurance in the UAE”). 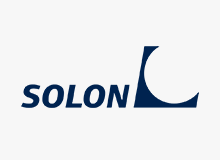 Solon currently has a 300MWp production capacity in Fujairah, 60MWp in Berlin and another 60MWp in Greifswald, Germany, in active operation. The company has produced more than 1.5GWp of modules till date which is used globally. is one of Europe’s leading Solar PV providers with more than 20 years of experience in providing solar energy solutions. 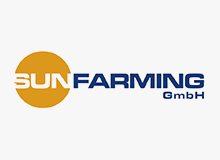 Installing over 30MWp of Photovoltaic systems per year, it’s specialization in photovoltaics has allowed the SUNfarming Group to develop a system of unparalleled quality and reliability. is a leading global technology group specializing in innovative systems and processes based on semiconductor technologies and is employing more than 1,800 people across three continents. With a strong focus on photovoltaics, the company has long-standing competencies and technologies that also cover important areas of the semiconductor and the optoelectronic industries as well as other select high-end markets based on semiconductor materials. 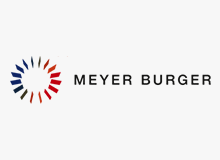 Meyer Burger offers its customers integrated systems and dedicated solution packages. The company implements customer specific process control and supervisory systems that span across different manufacturing processes. The firm combines its process knowhow and close customer process support with its service-oriented machinery and systems with its logistics-driven consumable business. has been working for more than a decade in the field of renewable energy. 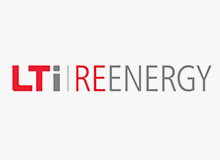 With years of experience and technological knowhow in electrical inverters, high product quality and the power of a truly global player, the company is in a strong position to respond to the growing demands of the energy sector. Through cutting-edge developments, it showcases perfect work results in providing customized solutions in the area of PV. provides trainings on green energy internationally and a variety of business services to develop capacities for a sustainable energy supply. Since our founding in 2008, more than 6,500 participants from 145 countries worldwide have participated in one of our training programmes. 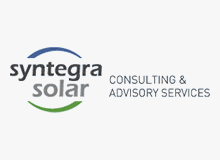 Founded in 2001, Syntegra Solar is a specialized consulting, advisory and project development firm recognized for its focus and expertise in renewable energies sector, specifically in solar PV technology. Syntegra has developed a number of PV projects around of the world and has been involved in the realization of several hundred megawatts worth of PV power plant projects. 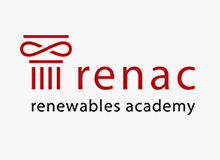 RENAC, a strategic partners for human capital development for Terra Sola, is a part of iMove. iMOVE is an initiative of the German Federal Ministry of Education and Research (BMBF). iMOVE is part of the international division at the Federal Institute for Vocational Education and Training (BIBB) in the Federal City of Bonn. Its objective is to promote international collaboration and the initiation of cooperation and business relationships in vocational training and continuing education. Through RENAC, Terra Sola enjoys the benefits of access to iMoves core expertise. 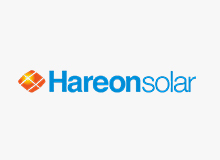 Hareon Solar, founded in 2004 and based in Jiangyin, Jiangsu Province, is one of China’s largest crystalline silicon solar cell & module producers. In addition to producing high-efficiency crystalline silicon solar cells and modules, Hareon Solar also develops, constructs, and operates PV power plants around the world, with the goal of becoming a leading clean energy producer.